Dewey Waters is an accredited & certified GRP water tank manufacturer. We pride ourselves on operating to the highest professional standards. We are committed to supplying our customers with genuinely market-leading, high quality products, and always strive to provide the most appropriate solutions to fulfil clients’ needs. Our product range and manufacturing processes are continually updated and optimised to ensure that we offer the most up-to-date products and services – improvements which are driven by a combination of legislative change, fluctuating market forces and consumer demand. To ensure consistent levels of product quality, we regularly monitor our procurement and usage of raw materials, whilst also striving to adopt the most efficient production methods – using natural resources in all of our manufacturing processes where possible. Dewey Waters are dedicated to providing all of our employees with a safe, comfortable and non-discriminatory workplace. All of our employees are fully trained in personal safety, the handling of potentially hazardous materials, and operate under clear procedures and levels of accountability. Our commitment to high quality and proper conduct is reflected in our numerous accreditations. 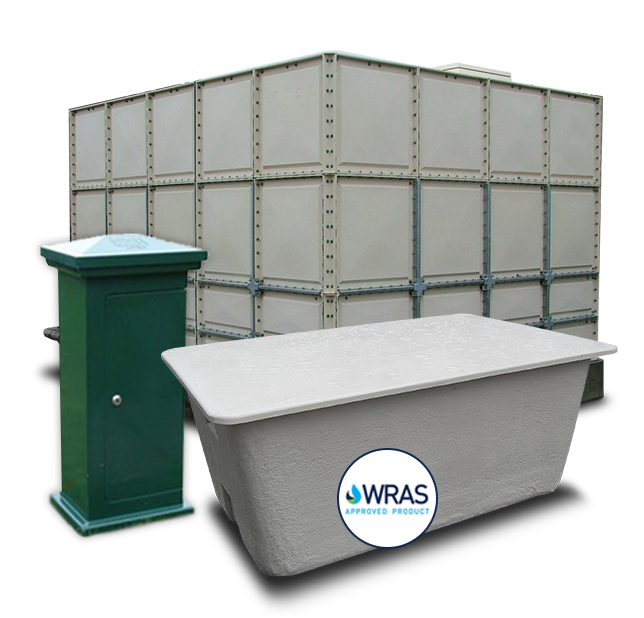 Our water tanks are WRAS approved which means that they are fully compliant with 1999 Water Supply regulations, and our LPCB certification indicates our approval through independent assessment up to predetermined standards. Aenean lobortis sed risus sit amet vestibulum. Duis aliquam a tortor non lacinia. Etiam tincidunt blandit finibus. Nulla ac egestas mauris. Vestibulum laoreet nisi sed condimentum congue. Aliquam finibus scelerisque sem eget pharetra. Praesent dapibus, dui non euismod rhoncus, quam ex porta turpis, in efficitur diam turpis at tortor.